You've just watched Jen & Matt's full film. Matt and Jen are the greatest kind of gushy lovers--they were trembly, tearful, weak in the knees with excitement at their first look--Passionate embrace at their first kiss--Grinning from ear-to-ear with pride during their first dance--Triumphantly leading their second-line parade as they exited the reception. The visible expression of their heartfelt passion is an example to us all-- to cherish, to delight in each other, and to fully enjoy each moment. Jennifer is also a great example of a bride who made sure her husband really enjoyed the wedding day festivities--she let the groomsmen wear trendy sunglasses during their entrance to a rock song at the reception, and she selected a really rockin' band that would keep the party rolling. She also had the groom's cake made in the shape of their dog. Their classic and cool colors of lavender and silver perfectly contrasted with the natural greens and yellows in the landscape. The Austin Museum of Art is set within the most luscious gardens in Austin, so it was a perfect outdoor setting for this wedding. Jen and Matt's friends and family dressed in cowboy chic, an outdoor Austinite wedding tradition. 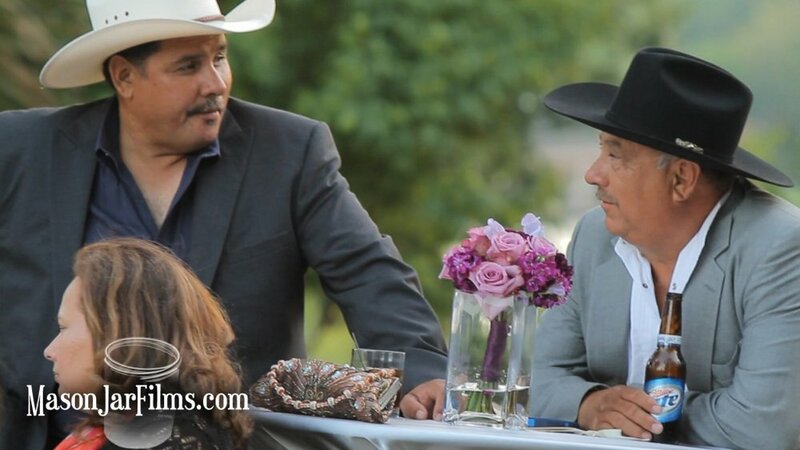 It wouldn't be a truly formal outdoor affair if cowboys weren't wearing their finest hats, which is one of the reasons we love working in this city. By the way, we were so impressed with the casual cool performance of The Argyles. 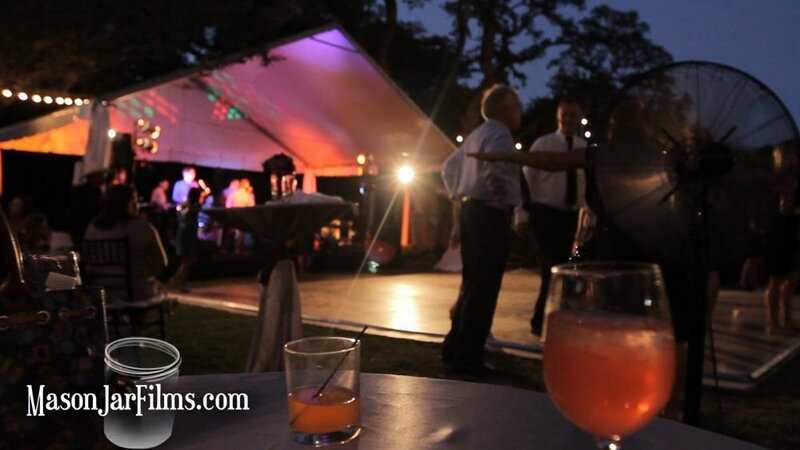 They are talented and fun people, and we look forward to filming another wedding where they are performing. Want to read more about Jen & Matt? 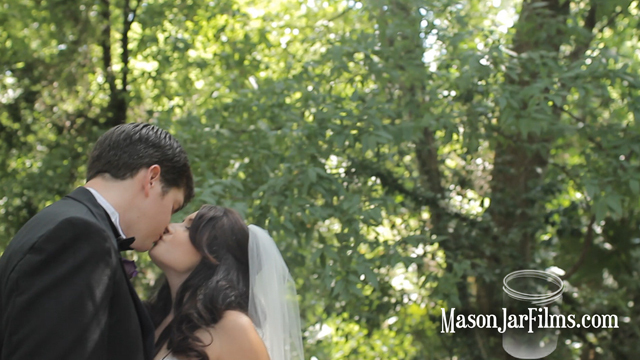 If you didn't see our first post after their wedding, you should definitely check it out. Also, please join us on facebook--we'd love to hear from you.